A ‘mastermind’ hacker has revealed how he was arrested when FBI detectives worked out his ridiculously easy to guess computer password, the name of his pet cat followed by 123. 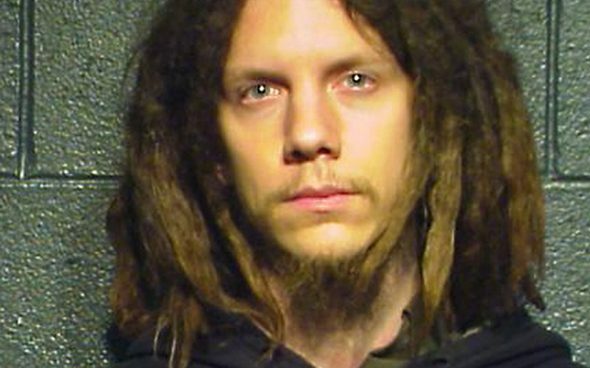 Jeremy Hammond, who is currently serving a ten-year prison sentence, says he infiltrated dozens of US government websites to “expose and confront injustice”. When agents armed with assault rifles raided his home in 2012, the hacktivist dashed to his bedroom to slam shut his encrypted Mac laptop. But he believes his rookie password mistake made it easy for agents to crack his encryption program and get the evidence needed to put him in prison. The 29-year-old was convicted in 2013 of hacking into the US-based security think tank Stratfor, whose clients include the US Department of Homeland Security and the Defense Department. FBI detectives enlisted the help of a notorious hacker, known as Sabu, who helped them infiltrate the notorious Anonymous hacking group. Federal prosecutors said the Stratfor hack resulted in more than a million dollars in losses to individuals. A schoolboy has become the world’s youngest qualified computer specialist after passing a Microsoft Windows exam at the age of just five. Ayan Qureshi has only just started elementary school, but passed the test at Birmingham City University (England) to become a Microsoft Certified Professional. He has set a new world record for the youngest person ever to pass a Microsoft exam – at the age of five years and 11 months, beating the previous record held by six-year-old Mehroz Yawar from Pakistan. 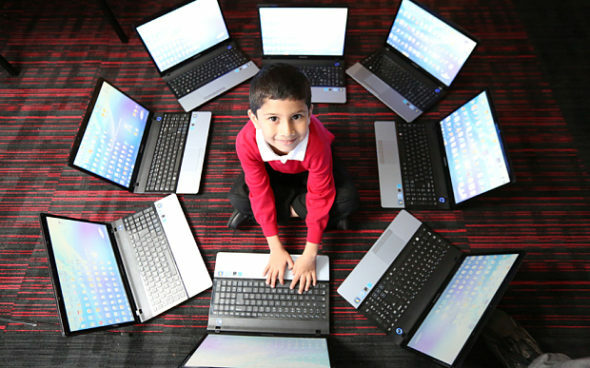 Ayan was first introduced to computers when he was just three, by his father Asim, 43, who soon realized his son’s natural aptitude for technology. After just five months training, Ayan sat the ‘Supporting Windows 8.1’ assessment for IT professionals alongside several adult candidates, even though at five he will not be able to work for another eight years. “We are just so proud of him,” said Mr Qureshi. “He has plans to take an advanced test in the future but he has to concentrate on school for now. “He was very interested in computers from the age of three so I started explaining to him about hardware and software and installing programs. “I found that whatever I told him, he was able to remember it the next day, so I built a computer lab in our house for him to use, and he loves it. “I showed him how to install Windows and then decided to enter him for this exam. When Ayan, now six, and his father arrived at the university invigilators (proctors) were so shocked to see such a young candidate and they said he couldn’t take the exam. “There was just a room full of adults there when we went to take the test on a Saturday, but I’m not sure if they all passed or not,” said Mr Qureshi. “He wants to keep on learning so I am sure he will be ready to take more exams quite soon. He’s incredible really. Ayan was born in Lahore, Pakistan, but his father and mother Mamoona, 34, moved to London in 2009. The youngster is yet to decide on a career path but hopes for a job involving his favorite subjects of maths and computing. In England, employment laws mean the youngest age a child can work part-time is 13, except children involved in areas such as acting and modeling, who can work as long as they have a performance license. 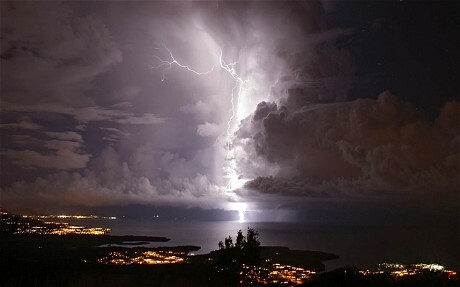 This year Venezuela’s Catatumbo Lightning was approved for inclusion in the 2015 edition of Guinness World Records, dethroning the Congolese town of Kifuka as the place with the world’s most lightning bolts per square kilometre each year at 250. So what causes such a powerful storm to develop in the same spot, up to 300 nights a year? Scientists think the Catatumbo, named for a river that runs into the lake, is normal lightning that just happens to occur far more than anywhere else, due to local topography and wind patterns. Lake Maracaibo basin is surrounded by mountains that trap warm trade winds coming off the Caribbean. These winds crash into cool air spilling down from the Andes, forcing them up until they condense into thunderclouds creating an average 28 lightning strikes per minute across a wide area – an energy burst that could power all the light bulbs in Latin America. History books show the lightning has played a significant role in Venezuelan history, helping thwart at least two nocturnal invasions of the country. The first attempt was in 1595 when it illuminated ships led by Sir Francis Drake of England, revealing his surprise attack to Spanish soldiers in Maracaibo. The other was during the Venezuelan War of Independence in 1823, when it betrayed a Spanish fleet trying to sneak ashore.